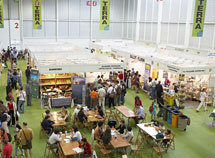 We are the only cross-border trade fair centre in Europe. Two countries were involved in our foundation, which is, in itself, unique. We also have a cross-border location. 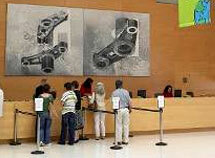 We are located on the former dividing line between Spain and France, in the heart of the Basque Country. 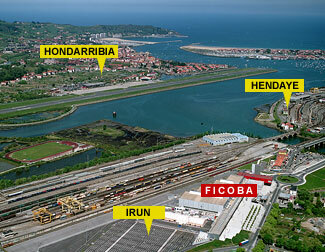 Through our windows, depending on which direction you look, you will see the border town of Irún or the town of Hendaya. However, the most outstanding views in the vicinities of Ficoba are those over the Txingudi Bay. The unique, natural beauty of this area makes it a magnet for tourists. It also has a thriving economy. In such a setting, it is no surprise we have become Europe's first trade fair to have zero CO2 emissions. Sustainability in action. 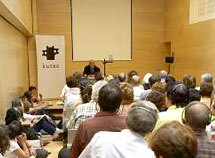 Ficoba opened in 2003. Our facilities are avant-garde and multi-purpose, capable of meeting all our clients' varying needs. 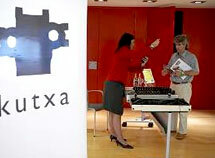 At Ficoba we organise trade fairs. We have been the driving force behind eight new fairs and exhibitions over the years, aimed at both the trade sector and the general public. Our building is extremely versatile, which is why it can welcome so many types of initiative. We have hosted more than 300 different events since we opened: Business meetings, seminars, congresses, product launches, festivals, concerts and exhibitions, and many more. We like to think of our facilities in "human" terms, meaning we can offer customised, made-to-measure services in a direct, efficient manner. We have a young team. But team also has the experience of having organised more than 53 trade fairs and hosted hundreds of events. Most importantly of all, we are service oriented. We enjoy taking on our clients’ challenges, and working with you to ensure your projects at Ficoba are a success. We offer our clients the benefit of all our experience.